It is 18K rose gold 41mm case, automatic movement, date, 42 hour reserve indicator, black dial with gold applied rose gold Arabic numbers. 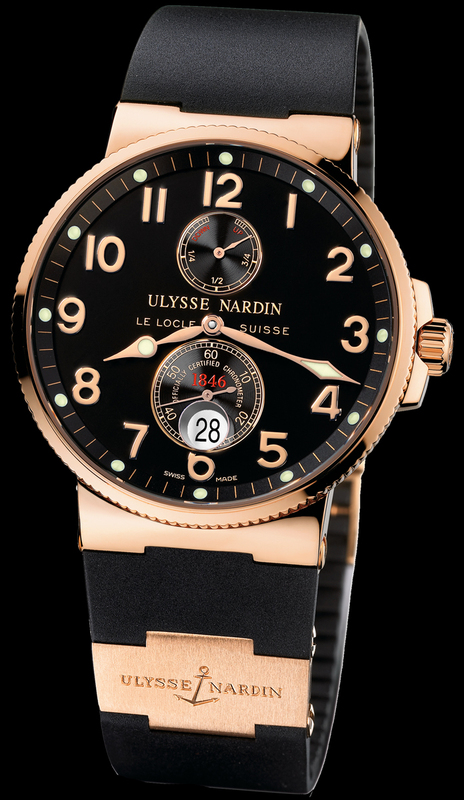 It features a solid rose gold case back which is engraved with the dates and cities when Ulysse Nardin was awarded the 18 Gold Medals. Shown on a sporty black rubber strap with a rose gold folding buckle.